More than 38 second-level students from schools across Limerick completed the second Entrepreneurship, Creativity and Innovation Bootcamp at UL. The aim of the Bootcamp is to develop student’s entrepreneurial mind-set and capacity to be innovative and creative problem solvers and generate qualities such as personal responsibility, leadership, risk taking, a sense of initiative, self-confidence, and team spirit. 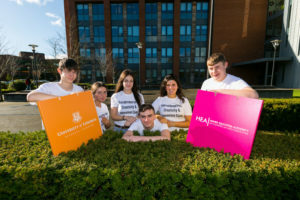 It provided students with the knowledge and skills in idea generation, design thinking, market validation and how to commercialise a new business idea. Students also gained insights into the changing business landscape for entrepreneurs and opportunities in digital and STEAM areas. The camp is also an opportunity for second-level students to experience life on a higher-education campus. 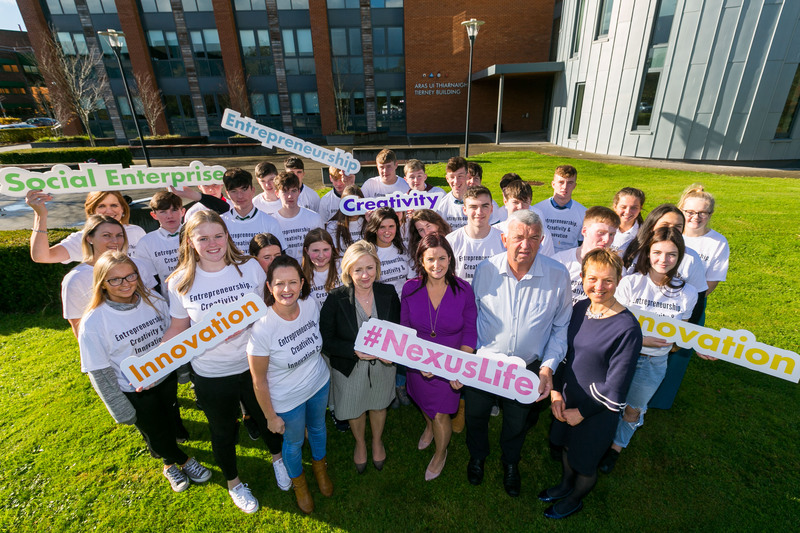 Speaking at the camp Briga Hynes, Lecturer in Entrepreneurship at UL said: “KBS was delighted to partner with Nexus on this exciting initiative which very much aligns with the entrepreneurial ethos of the school. Briga added that there is a wealth of innovative thinking among our bright student population and programmes such as this bootcamp are central in unleashing the entrepreneurial potential and capability of students at an early age to cultivate the next generation of entrepreneurs. We hope this programme has played a part in instilling that entrepreneurial mind-set in students and their start-up journey”. The bootcamp is supported by the Higher Education Authority (HEA), on behalf of the Department of Education and Skills as part of investment of €250,000 to provide nearly 1,000 students initiatives that stimulate creativity, innovation and design skills among students.